Would you be brave enough to buy a house without your partner seeing it? Business owner and real estate agent Matthew Travia was and he did. 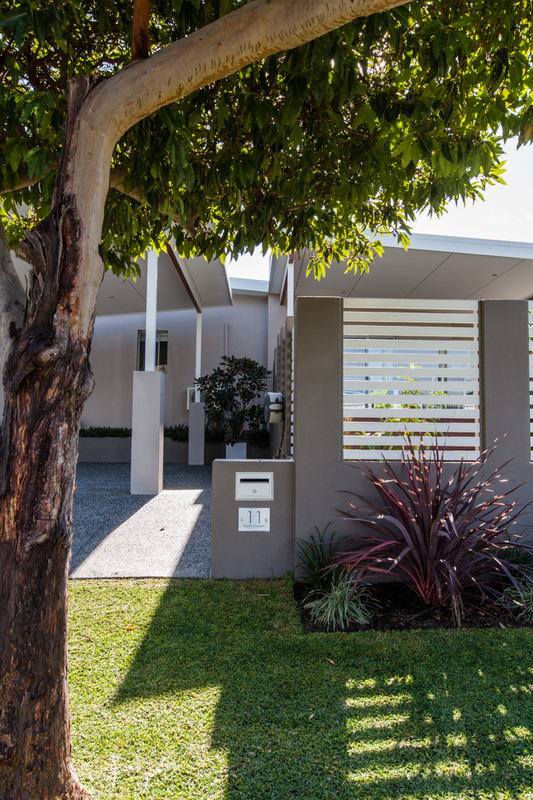 With the aid of building designer Janik Dalecki, Matthew and his partner Cora have turned this basic, very small former State Housing Commission home built in the 1960s into a simple and modest, yet very well-loved and restful first family home for themselves, their two dogs and their new baby daughter Aria. AFTER. Photo by Dion Robeson. 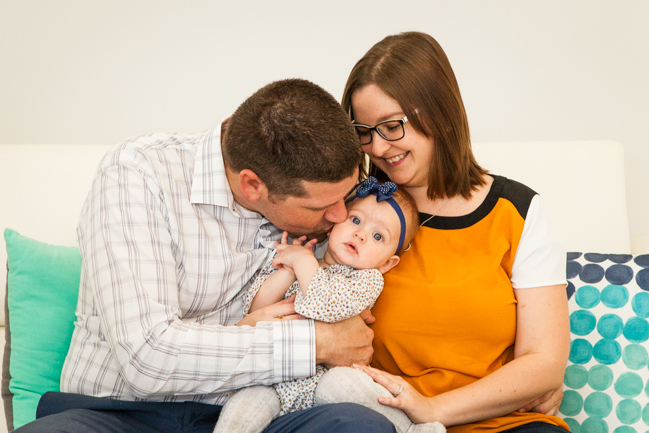 A MINIMALIST HOME: Home owners Matthew and Cora with their baby Aria. Photo by Heather Robbins. KEEPING THE ORIGINAL FOOTPRINT: Janik happily complied with Matthew and Cora’s request to keep the original footprint of the home and to redesign what was within the existing external walls. 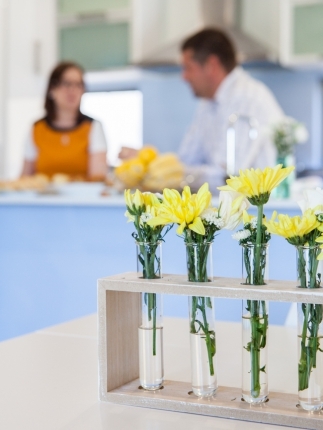 “With a push towards more sustainable building methods this is a great start - rather than knocking down and wasting a perfectly good house that has solid bones and just needs an updo,” says Janik. 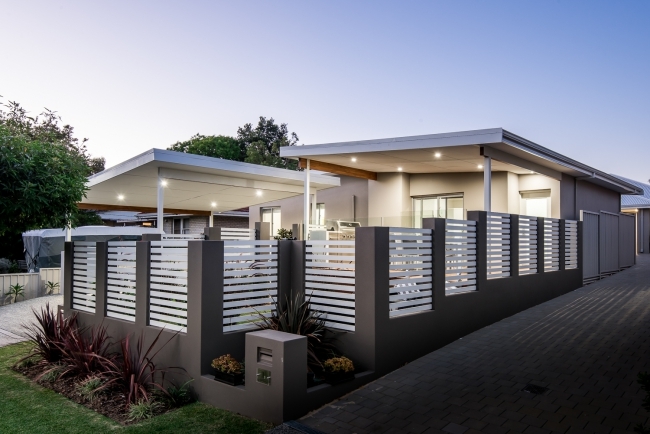 “This was a challenge as we also couldn’t go around bashing down every single internal wall to create a more spacious better flowing layout as this would defeat the purpose of keeping the existing house. To me it just seems like a waste to demolish these beautiful homes. A lot of the time these older homes have so many stories to tell and have so much character, you just cannot recreate in a newer home and it’s such a waste to lose these.” Photo by Heather Robbins. It’s a nice example of a renovation that has taken a sweet older home into the modern day. 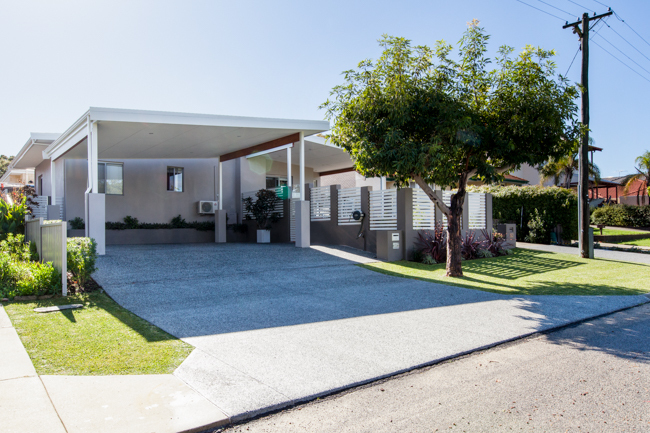 It’s also a great example of an existing house where the a complete redesign and renovation has been done within the existing structure – not adding any more square meterage to the home, but redesigning the floorplan within the external walls to make it more practical for a modern family. 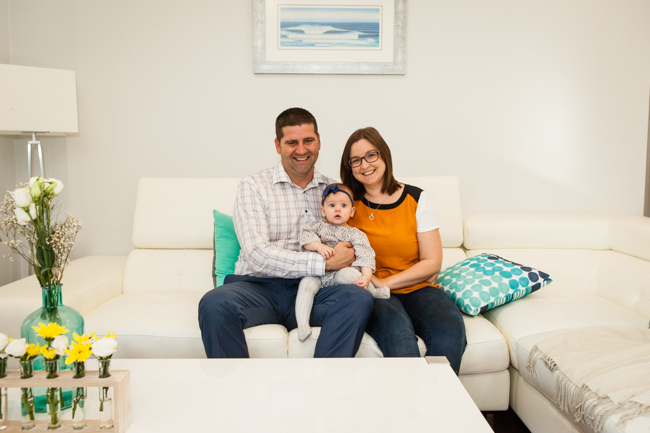 Matthew and Cora had been house-hunting for a home they could start a family in and had not even been considering the coastal suburb of Karrinyup when Matthew’s parents spotted the little 1960s house up for sale. 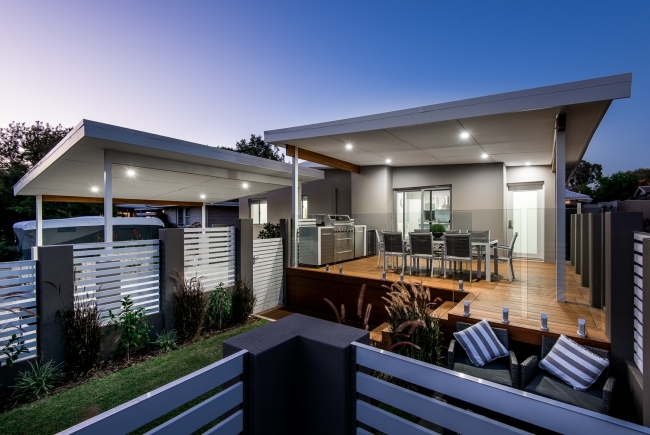 “We were not even looking to buy in Karrinyup,” says Matthew. 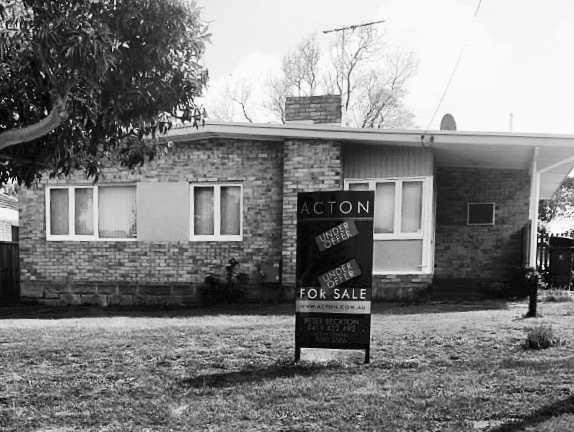 “My parents actually mentioned the house to me and I drove past and had a look. 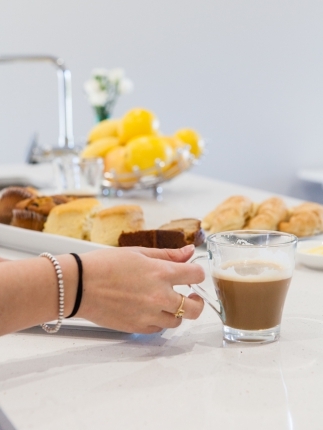 The location was great and I could see the potential in the home, and upon internal inspection – without Cora - I decided this was the right one. 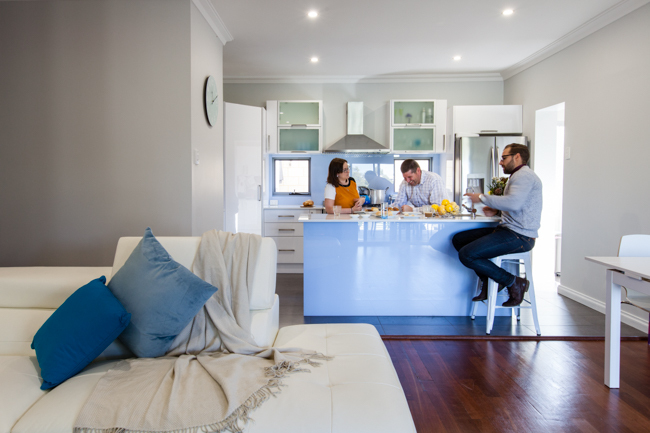 A LIGHT-FILLED LOUNGE ROOM: Matthew and Cora wanted to achieve a modern finish and floor plan while still incorporating some of the character from the original home. 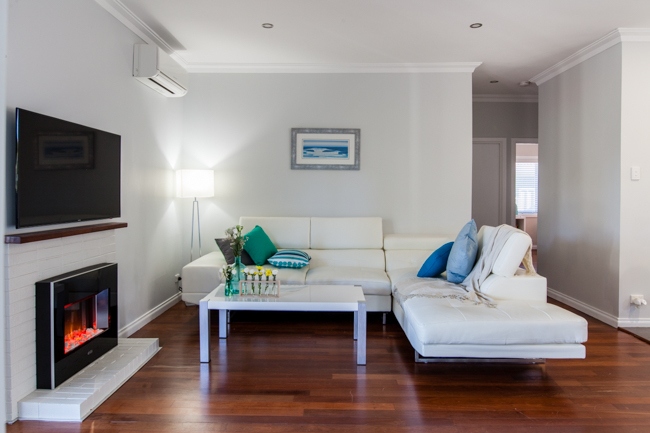 They kept and restored the jarrah floorboards in some areas and converted the old fireplace to an electric unit. When it came to sourcing fixtures and fittings, they shopped online. 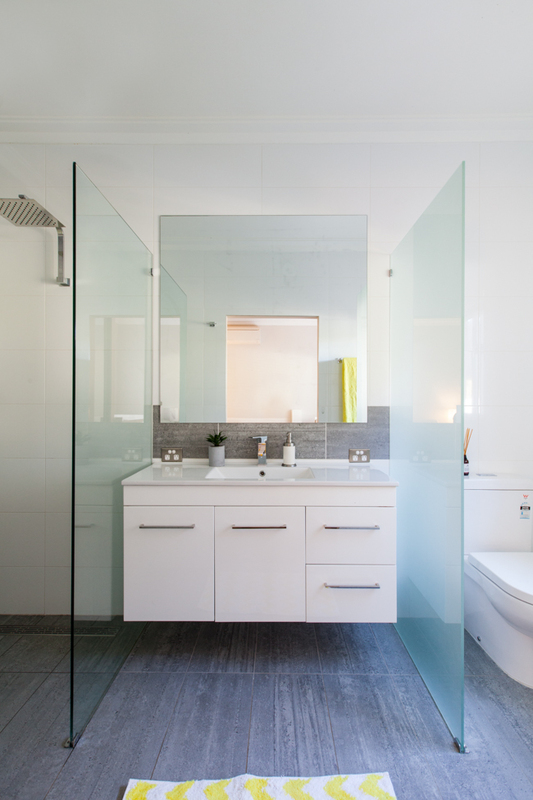 “We purchased of lot of items online from the east coast in terms of bathroom vanities, cabinetry and taps and the like,” says Cora. Photo by Dion Robeson. 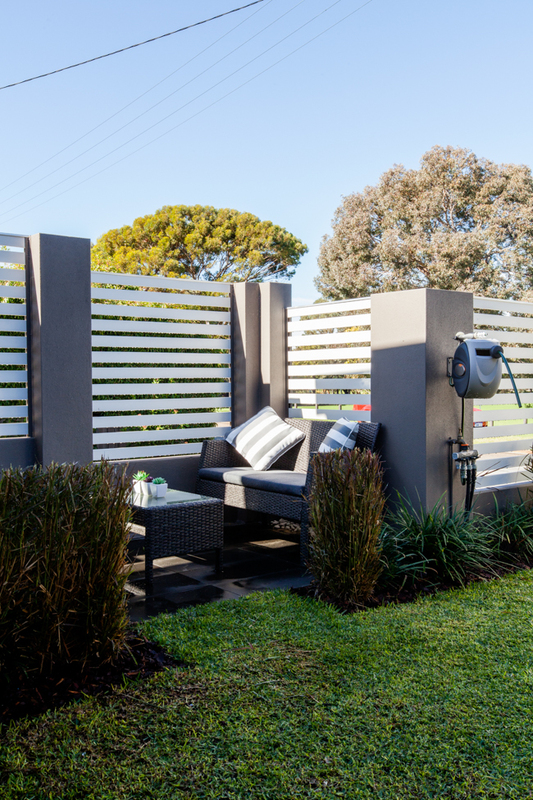 SMALLER BLOCK, MORE GARDEN: “Albeit that the land is only around 300sqm, we have allowed ample area for gardens and lawn areas,” says Matthew. 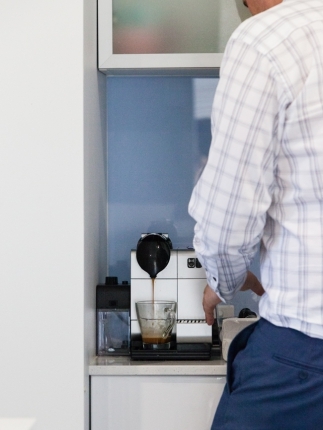 “A lot of people comment that the block feels a lot bigger than what it actually is. One of my favourite things to do is gardening - I really enjoy presenting a beautiful place to sit and relax outdoors.” Photo by Heather Robbins. AFTER: Janik says when it came to revamping the exterior, they didn’t really decide on a specific style from the outset, but instead worked with what was there. 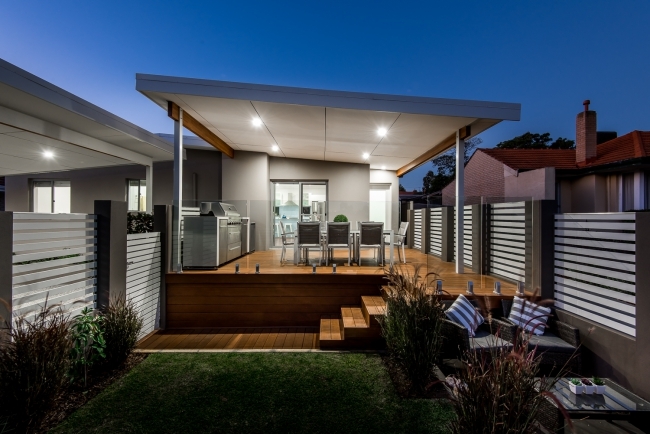 “Luckily skillion roofs have come back into fashion in modern design so working with the form and highlighting it as a feature with the new skillion deck roof seemed like the right thing to do. 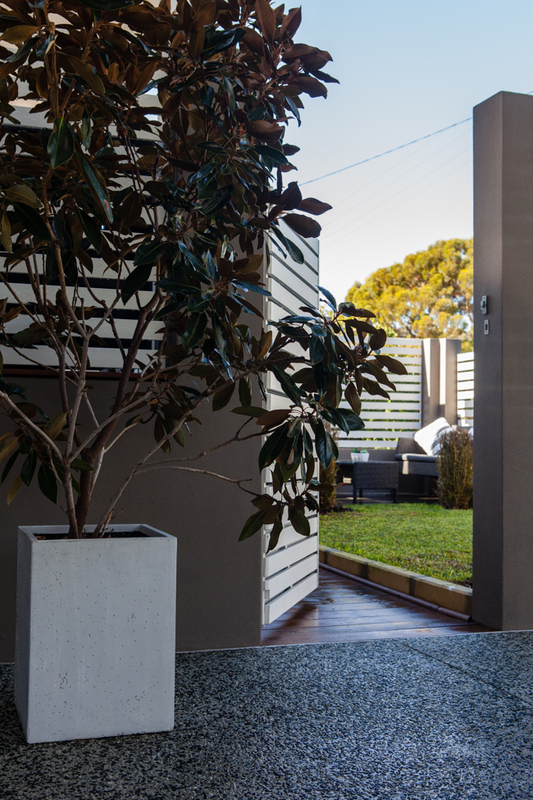 The introduction of some modern materials and finishes such as the decking, the negative detailed outdoor ceiling, glass balustrade, modern coloured render and floor to ceiling glazing transformed the dated skillion design house into a contemporary Australiana home.” Photo by Dion Robeson. Former State Housing Commission houses don’t always get a good rap. They’re typically basic, modest and on the smaller end of the scale, and many people associate them with being shabby. 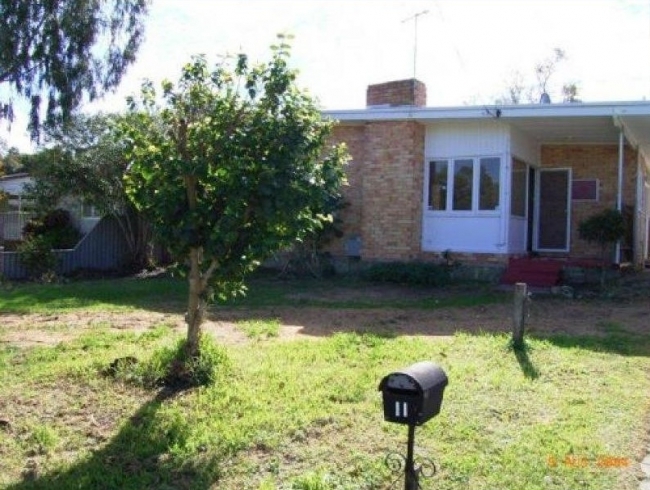 But Matthew could still see that the 1960s brick and tile house was solid and well cared-for, clean and tidy throughout, and would lend itself well to a modern refresh. “We wanted to achieve a modern, open-plan layout combined with efficient use of space to maximise the limited floor area, as we did not want to extend to a two storey home,” he says. He and Cora called in the help of building designer Janik, who runs Dalecki Design. “The brief was to open up the house, transforming the initial cramped, non-functioning layout into an open-plan living home,” says Janik. “A lot of these older homes just don’t suit our current lifestyle requirements. They didn’t include floor-to-ceiling glazing, people were not big entertainers and didn’t do as much cooking and entertaining as we do these days - especially not outside, like we do now. “Opening the internal space up to the outside was the starting point and played a big role in the overall feel and look of the room, allowing plenty of natural light to filter into the home.” The addition of a new deck at the same raised level of the house also plays a role in creating a larger space, with the deck now naturally used an extension of the living area. 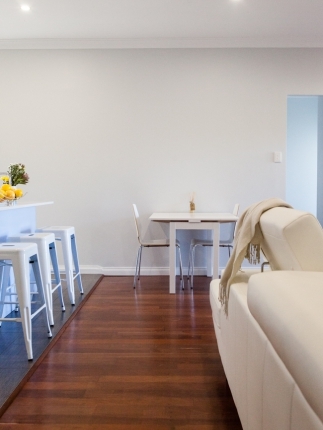 MINIMALIST HOME, MINIMALIST LIFESTYLE: Matthew and Cora like their home to be uncluttered and relaxing. 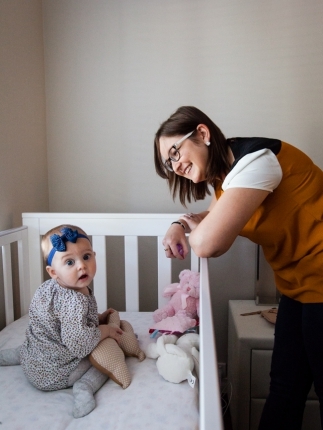 “The home allows our family to live an easy, relaxed and casual lifestyle,” says Matthew. “As the home is quite compact, every part of the home is used; there are no wasted spaces or areas. 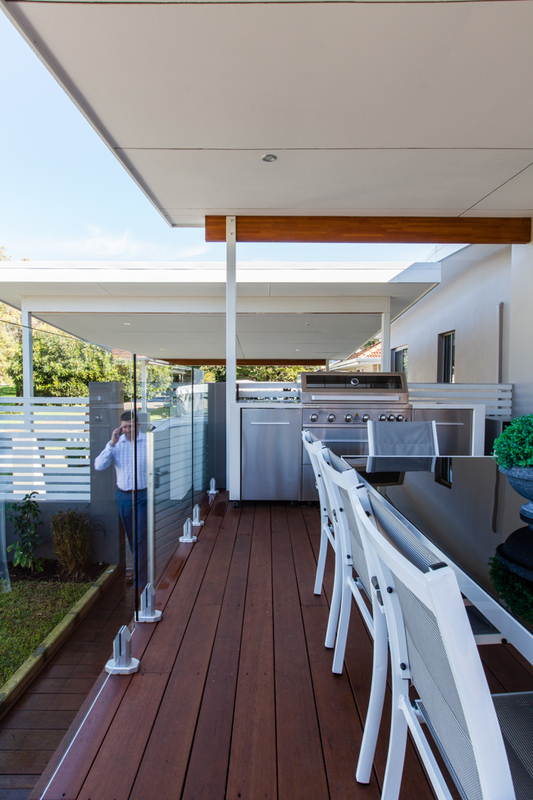 We love to entertain and the way the home flows from the open plan internal living through to the new alfresco allows for a good combined space all year round. 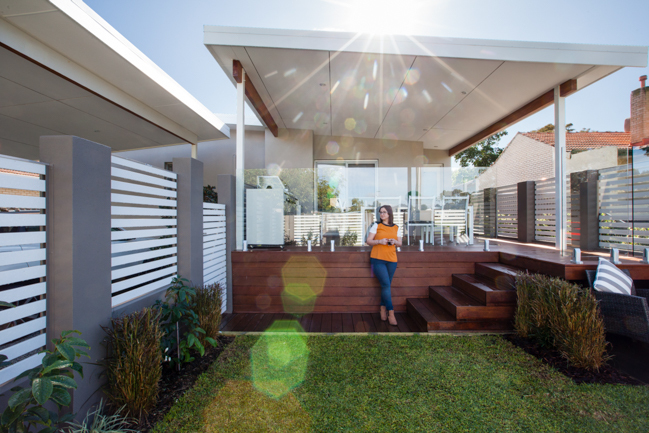 We are the happiest with our alfresco, deck and front yard area, it turned out better than we could have hoped for and has given the home such a different dynamic.” Photo by Heather Robbins. 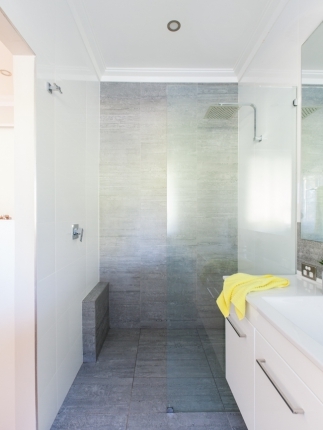 EVERYTHING INSIDE, EVERYTHING OUTSIDE: Not one square metre of the home, inside or outside, was left untouched in this floor-to-ceiling renovation. 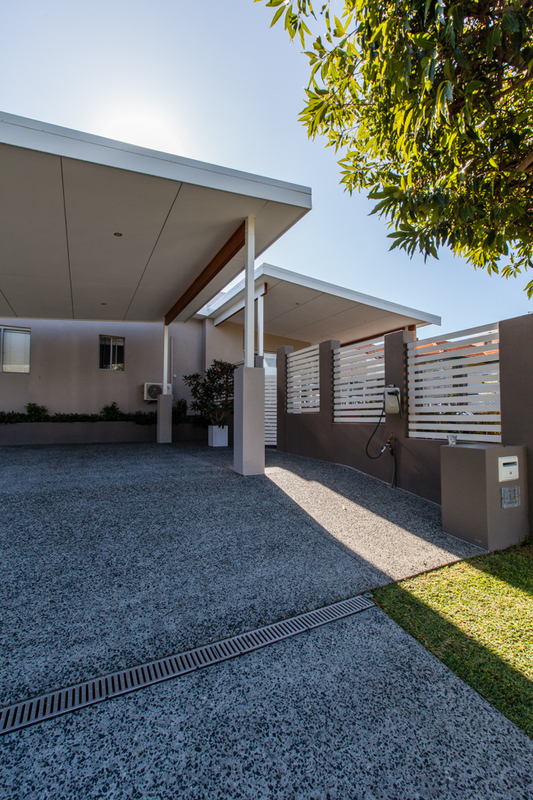 “The home did not have a carport nor did it have any outdoor entertaining areas so this was a must to add in,” says Matthew. “The entire project took a full two years to completion, there was nothing in the home by the end that was left untouched.” Photo by Heather Robbins. Matthew and Cora were adamant that they wanted to work completely within the existing structure of the small home, with no additional external walls. 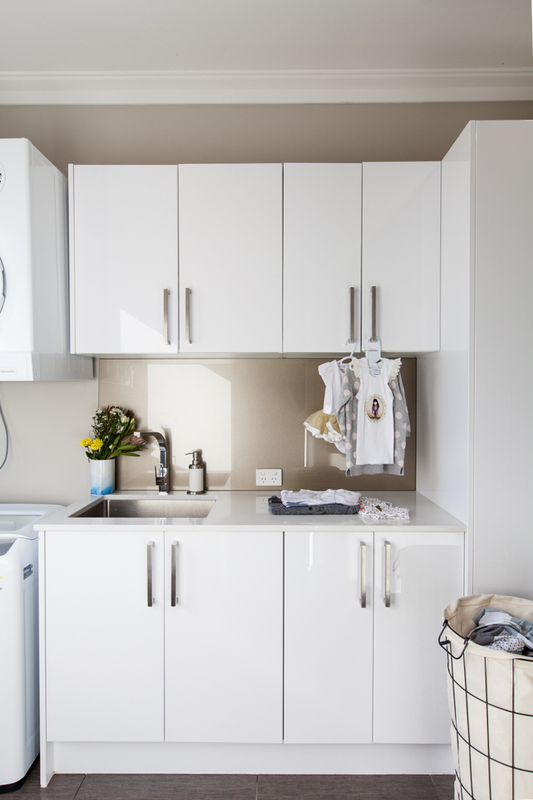 With the home a compact 90sqm, this was not the easiest job, but Janik enjoyed the challenge. “I love to work with existing structures and the adaptive reuse of these structures,” he says. “Additions, renovations and alterations are my passion projects. I think there is so much value in a lot of these older homes and updating them is a great way to upcycle them giving them another 100 years of life. 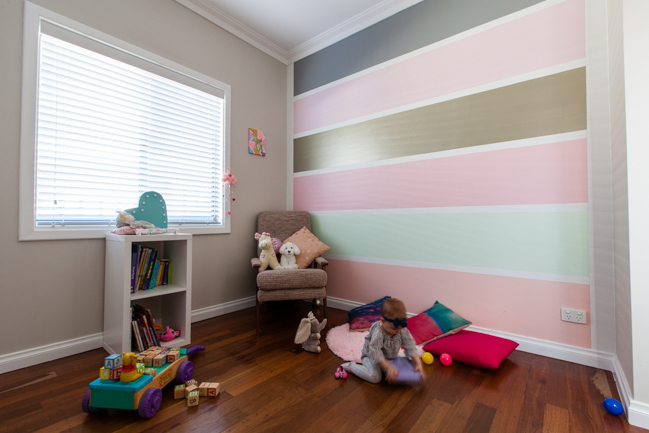 REZONING THE LAYOUT: Janik with Cora and Matthew. 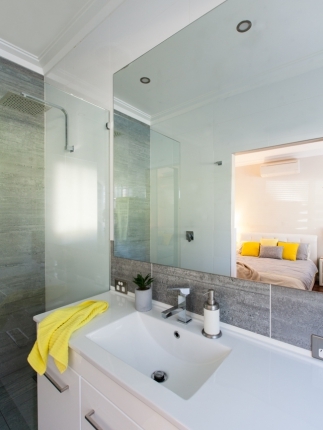 Dividing the existing third bedroom into two, using half the space for the new main ensuite and the remainder being added into the living room made a huge difference to the cramped area. “This combined with the new open plan and large amounts of glazing really made a massive difference to the overall area,” says Janik. 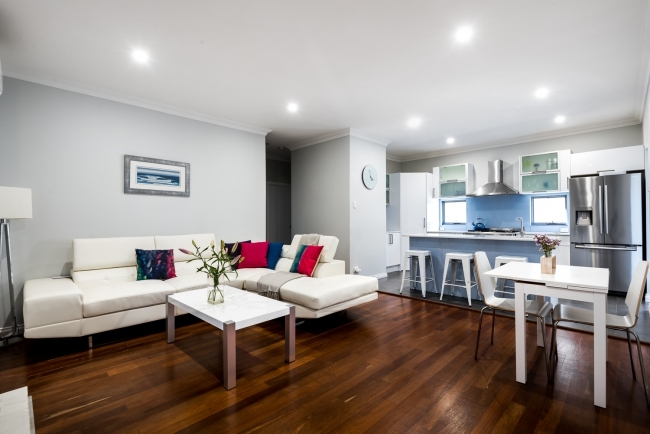 “What used to be such a cramped, dark, uninviting space it now so light, bright and really inviting.” A new lighter colour palette throughout also helps create a brighter feel. Photo by Heather Robbins. 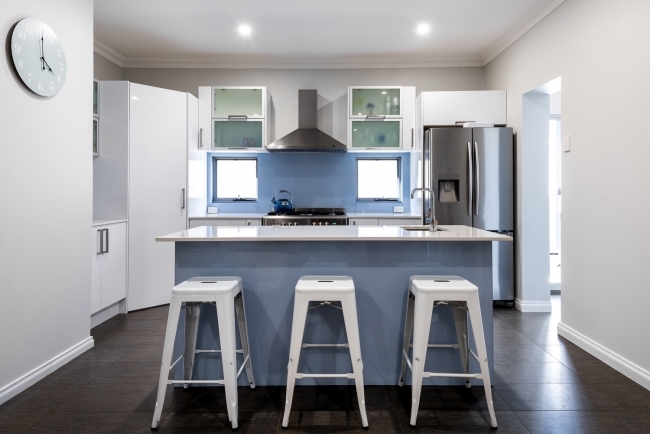 Another thing I really like about this renovation is that Matthew, Cora and Janik realised it would be more practical for their family to turn the three bedroom, one bathroom house into a two bedroom, two bathroom home. Did you know that Australians are now building the biggest homes in the world – 10% larger than the average American house? It’s insane - and, I think, often very unnecessary. While the trend in our country always seems to have been “more rooms are better” I am a fan of the idea - where it makes sense - of reducing the number of rooms in a house in favour for the luxury of bigger, more practical rooms. Janik gets this, too. 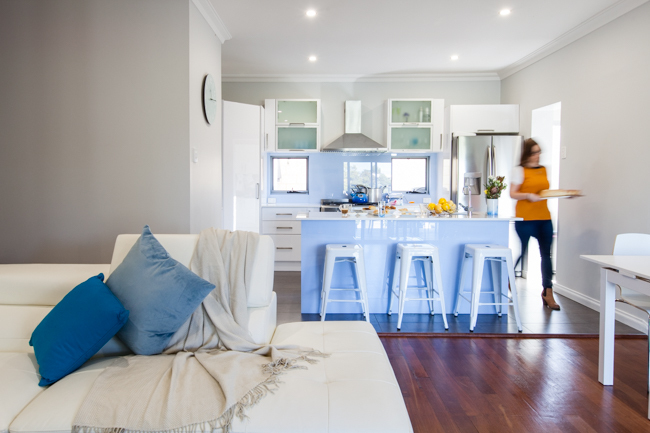 “Whilst many renovators favour increasing the number of bedrooms in a home, Cora and Matthew saw value in reducing the number of bedrooms to two, which resulted in the space from the original third bedroom being utilised to create space for an additional ensuite and built-in robe for the master bedroom,” he says. 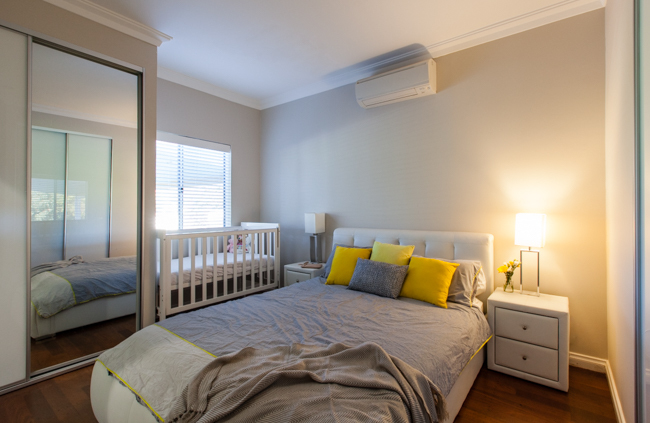 “Removing this bedroom also allowed additional space for storage throughout the home.” It also meant Matthew and Cora could enjoy a larger living and dining area, which was further opened up by knocking out the wall between the kitchen and living. A powder room was also added for guest use. The end result is a small yet light-filled minimalist home that feels open, uncluttered and relaxing – perfect for this new young family. 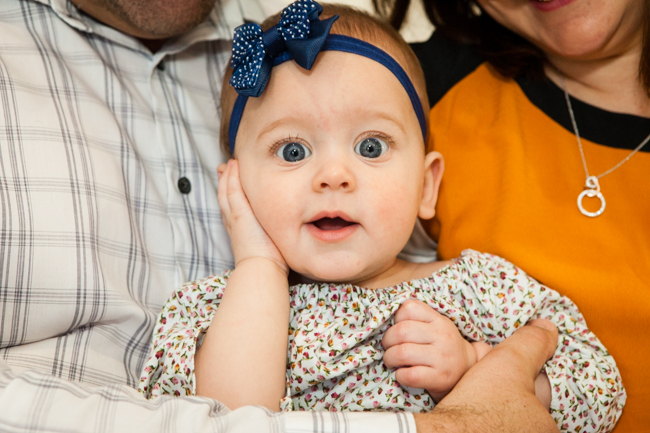 Just like Mr Nerd and I, Matthew and Cora were renovating while they had a baby on the way! Happily for them, they made their deadline. So what advice would Matthew and Cora give other people taking on a home redesign and renovation? 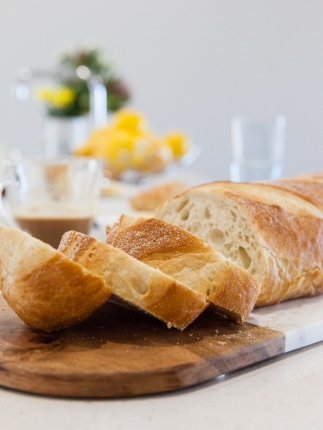 They say for them it was all about getting a good design – and utilising online services for advice and ideas. Love before and after stories? 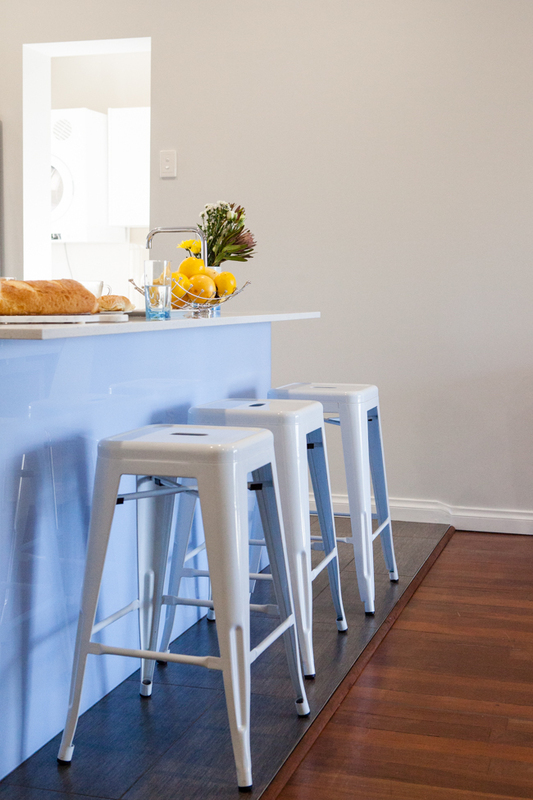 You can be updated on other inspiring renovations as well as new home tours by following House Nerd on Facebook, Instagram @housenerd, Pinterest, Twitter @HouseNerd_ or Bloglovin. I live locally and have often admired this house when out walking my dogs. So great to see the inside has been modernized to the same high standard as the outside. I think the owners have done a terrific job while remaining true to the era of the house. 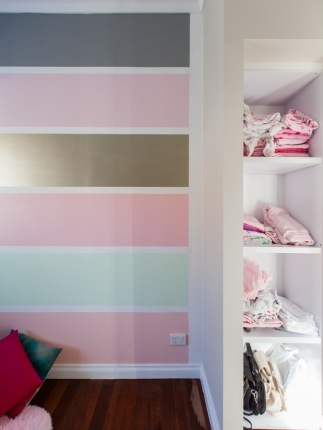 I really like the painted striped wall in the kids room brave colours but they work so well together :) How interesting that they converted a bedroom to a bathroom, I would love a second bathroom but currently we need extra bedrooms (and we already have 4!) as we use them for other than sleeping (like a man cave and study/craft room). We are spoilt here in Australia though as you say we have such large homes in comparison to the rest of the world. I think I'd buy a plot of land for my grave if I bought such a big ticket item without first consulting my partner! I should think that they would have to at least have expressed some interest before I shell out money like that!